Our Mommy MD Guide’s reply: Thank you so much for writing. I admire your determination to give your son breast milk, especially when nursing didn’t work well out for you. And the fact that you’ve continued for over a year is really wonderful. You’ve given your son a great start in life by helping to boost his immune system and reduce his risk for dozens of diseases, including obesity and diabetes. I’m not surprised that your milk supply is beginning to diminish now that a year has passed since the birth of your son. 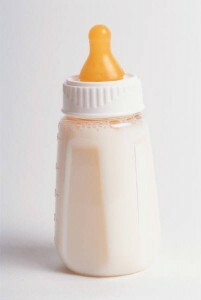 Many women find that they tend produce less breast milk as their children approach a year of age. It may be Mother Nature’s way of helping moms wean their babies, and you can certainly wean your baby any time. At one year of age, babies are ready to drink whole milk from a cup, and since they’re eating solid foods, they’re able to get good nourishment from their diets. The mother’s milk tea that you’re drinking can help some women produce more breast milk, but of course there’s no guarantee that it will work for every nursing mom. The tea contains herbs that mimic the action of female hormones responsible for milk production. What should you expect your breasts to look like when you’re finished pumping? Generally, most women find that their breasts seem a bit less full after nursing or pumping. When it’s time for you to pump, for instance, you probably notice that your breasts seem full and tense and tight. Once you’ve emptied them, they seem a bit looser and smaller. If you’re determined to continue pumping a bit longer, the best way to maintain or increase your milk production is to pump more often during the day. Mothers’ milk supply operates on a supply and demand system. The more milk that your baby demands, the more milk you’ll likely produce. 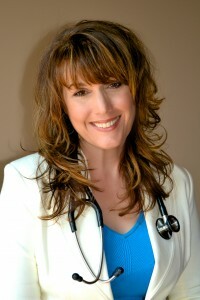 Since you are pumping instead of nursing, you can increase the “demand” by pumping more. If you’re currently pumping once a day, you can increase that to twice a day. Within a few days, there’s a good chance that you’ll begin to see an increase in your milk production. Make sure that you continue to drink plenty of fluids and get enough calories and nutrients, especially calcium, to support you and your baby. Producing breast milk is a big job for your body!